As reported Kurt Cobain "loved" the rich tones and the "Punishment you could deliver" to this cabinet and he thrived on feedback that can come from the tubed head. You can see Kurt Cobain using this item in the picture. Trey Anastasio has been using this amp since he bought it in the mid-80s, in part because he believes "being familiar with your gear is more important than having really good gear," he said in this video at (4:10). Lee used this during Dirty. "Amps are always really important to me, more so than guitars, and I’d just got a Mesa/Boogie Mark III - cryptic amps at the best of times. It was all baffled off, hidden away, and John (Leckie) would start fiddling with it. “It got to the point where John used to keep a Filofax with his own settings; he’d march in, and set it to: jazz funk tone #3, or whatever. I just became even more resistant." According to his official website, John Sykes used both standard Mesa Boogie Mark III and Mark III Coliseum heads. > For much of the Whitesnake '87 album and first Blue Murder album John used 2 Mesa Boogie Coliseum heads. These amps have a Mark III pre-amp section but use six 6L6 power tubes--giving the amps180 watts each! John also owns several Mesa Boogie Mark IIC+'s, Mark III's and some rack mounted Mesa Dual Recto heads. Other Mesa Boogie equipment includes a Tri-Axis preamp and a Strategy 500 Power Amp. "Jeg husker forsterkeren, og det var Svein Dag Hauge sin Mesa Boogie som sto i studioet. Jeg bare plugga inn i den, og hoppa over Marshallen min som jeg hadde brukt i mange år. Jeg plugga rett inn, uten effekter og ting." In this video interview, Dan Mongrain mentions using a Mesa Boogie Mark III for playing the solo parts on the latest Martyr album (can be seen at 1:21 on this video). 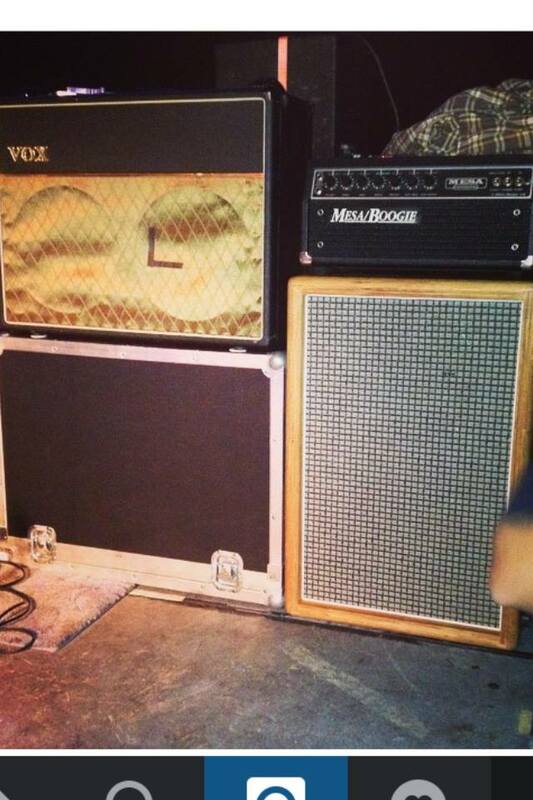 Here you can see Adam's Mesa Boogie Mark III Amplifier. Main guitar amp. Sounds huge. 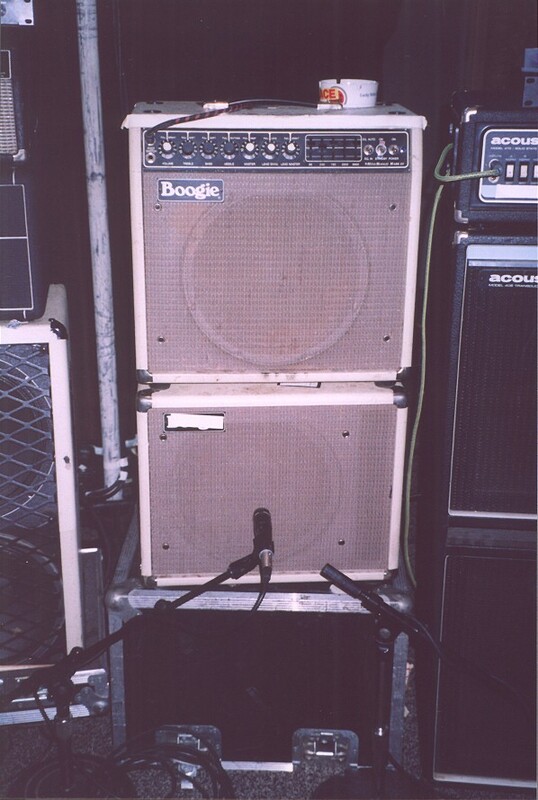 According to his official website, this is one of his Mesa Boogie amps.